Let's Make SHIFT Happen Today! Request > Blueprint Playbook NOW! 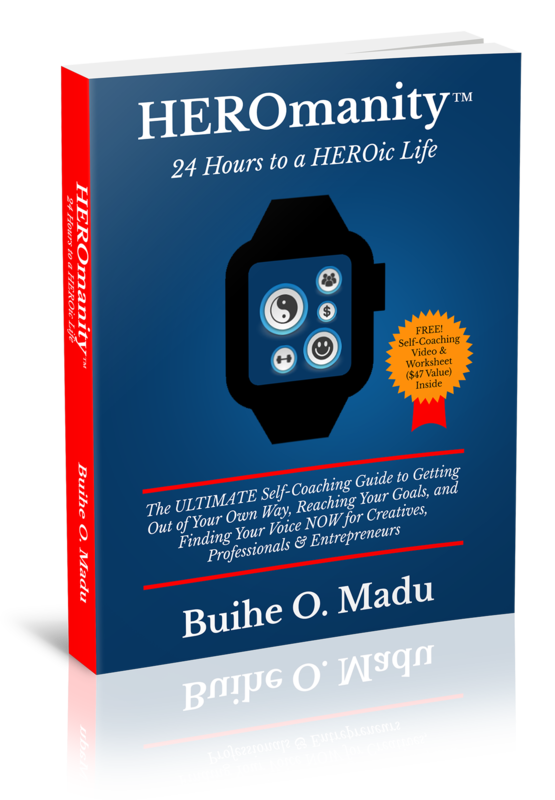 Buihe Madu is the Creator of The 24 Hour Blueprint Method and author of self-actualization classic, HEROmanity: 24 Hours to a HEROic Life and 24 Hour Blueprint Playbook. He has guest lectured at the The State University of New York at Buffalo, University of Illinois at Chicago (UIC) School of Business and featured as Northwestern College 2014 Commencement Speaker. The 24 Hour Blueprint Method – a ground-breaking high performance execution and productivity model has inspired students, professionals and entrepreneurs to go from self-sabotaging behavioral patterns to life-shifting habits that inspire stunning personal achievements, productivity and business results. The secret to their results is a concept called HEROmanity – you’ll learn more about it in the book when you order it. To learn about the “secret sauce” behind the entire step-by-step 24 Hour Blueprint Method that I’ve used to successfully consult and coach students, professionals and entrepreneurs from all over the world, claim your FREE HEROmanity Book while it’s still free. All you have to do is pay for the shipping & handling of $7.95 and you’re all set. Get Your FREE Copy of HEROmanity Today!